Marketing to Millennials is fundamentally flawed as it fails to acknowledge the different characteristics prevalent in how young people interact today, according to a global study by Facebook IQ. 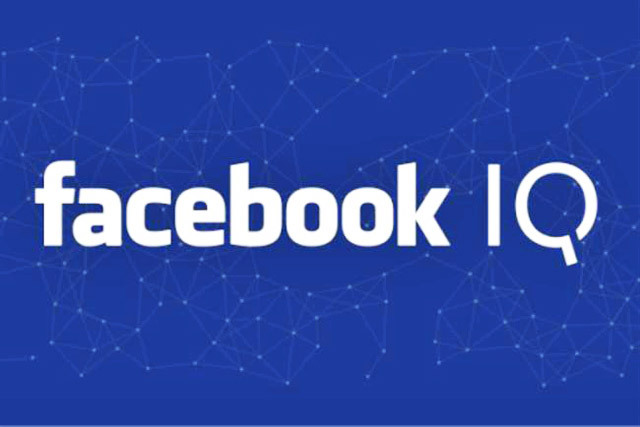 Facebook IQ is the insights unit established by the world’s largest social network, aimed at helping marketers better understand people how people are communicating today, both online and off. The first output of Facebook IQ, The Coming of Age on Screens, is a qualitative and quantitative study. It covers more than 11,000 13- to 24-year-olds across 13 markets – Australia, Brazil, Canada, Denmark, France, Germany, India, Indonesia, Italy, Norway, Sweden, the UK and the US – and has been conducted by culture experts Crowd DNA. It finds Millennials to be a far-from-homogenous group, better approached by marketers as three distinct groups, each with their own characteristics: Optimists (age 13 to 15), Explorers (age 16 to 19), and Realists (age 20 to 24). This optimism is reflected in this generation’s approach to everyday situations. Across the 13 countries, 72 percent of young people agree they try to see the positives in every situation. In Indonesia, looking on the bright side is virtually hard-wired — 92 percent of respondents say they do this. Optimists are the most enthusiastic about everything in life. Their lives revolve around family and friends, and technology is most important to them, as they have never known a world without it. On a country level, those in Germany were the most optimistic (69 percent), with the US coming in lower (59 percent), in line with the overall average. Explorers are defined as forward-looking and globally curious, open to new things, they take part in more activities and frequent more hangout spots. Realists are smartphone-centric and major multi-screeners, Realists are more focused with their time, taking part in fewer activities, frequenting fewer hangout spots than Explorers. People surveyed expressed a strong interest in the wider world, with 75 percent agreeing they want to learn about other countries and cultures. Some 59 percent say they’re concerned about global issues, with global-minded attitudes strongest in high-growth markets such as Indonesia (80 percent). Steve Hatch, regional director, UK and Ireland at Facebook, said: "If you want to know where the future is going, it's best to look at those who are living it right now. Findings from The Coming of Age on Screens show the fundamentals of living today haven't changed, but the ways that young people are communicating is different." Among the findings of The Coming of Age on Screens is further information about how the lives of teens and young adults today are centred on their connections with others – 73 percent agree their lives revolve around friends and family and 67 percent are very happy with their social life. Social media is key in these everyday connections to their immediate network and wider world – 74 percent agree that social media helps them stay up to date with their friends and family, and 66 percent say that social media makes them feel more up to date with the world. In short, the researchers discovered this generation wants to explore everything that’s new, to express themselves in ways their parents never thought possible, to be independent and to create. The study confirms the importance of approaching youth with empathy and recognizing the ways in which young people today are the same as previous generations. Coming of age is a period of growth, change and possibility. And much of this activity now plays out online. Brands can play a valued role in helping young people in this transition, according to the study. Among the advice offered by Facebook IQ is for brands to develop content and campaigns that position themselves as a source of information, inspiration or validation. Marketers are encouraged to share stories of people who have defied the odds with their talent, innovation and entrepreneurship. They should also explore content and campaigns that empower this group to reach their own aspirations. Online is a key place to socialize and spend time for 13- to 24-year-olds (45 per cent) and social media was found to be the first place this group would turn to share a funny video or joke (46 percent), a photo of themselves (55 percent) or an interesting news article (36 percent) – ranking well ahead of face-to-face, text, email and other means of communication. Hatch called mobile "absolutely at the center" of how young people communicate today, with 57 percent saying they would rather give up TV over their phone and 72 percent "can't leave the house without their phone."